Presentation begins after first 4 minutes. NOTE: There is no audio from 39 mins to 42 mins on the original recording. We have re-recorded those slides with Dr. Anderson and they can now be viewed as a separate file from your shopping cart. In the mov file for Macs, the screen is black for the first minute before converting to the slides. In this presentation, Dr. Paul Anderson will explain the mechanisms of action of common neuropsychiatric drugs, and explore the potential adverse reactions that can occur when adjusting or reducing the dosages of antidepressant, anxiolytic and sleep medications. Using descriptive examples, Dr. Anderson will give practical advice for clinicians seeking to help wean patients off these common pharmaceuticals. For each drug class, there will also be discussion of evidence-based natural medications that can facilitate the tapering of neuropsychiatric drugs. Paul Anderson, ND is the Medical Director of Anderson Medical Specialty Associates, a clinic focusing on the care of patients with cancer and chronic diseases. 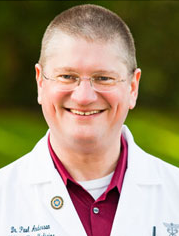 Dr. Anderson is a graduate of the National College of Natural Medicine, and began instructing classes at naturopathic medical schools in the early 1990s. He has served as Professor of Pharmacology and Clinical Medicine at Bastyr University, and also acted as the Chief of IV Services for the Bastyr Oncology Research Center. He teaches board review classes and CME courses for many naturopathic programs, including BU, NCNM, Boucher Institute, UB, SCNM and CCNM. He is a founding board member of the Academy of Parenteral Therapies specialty group and he is also an instructor and author for the International IV Nutritional Therapy for Professionals training group. Very knowledgeable, very entertaining, and great information. Excellent Webinar topic and presenter! Excellent practical information that will be used in clinical practice. Even though it is not my main area of focus, it is still good for me to know as I work with patients who are on these medications. One of the best pharmacy webinars so far! Excellent presentation. Most valuable presentation I've heard yet. Dr. Anderson is an invaluable asset to our profession- a clinician and teacher with few equals. Looking forward to his next one. Probably my favorite CE class!! Very useful and interesting!! Paul is truly brilliant. He was the best speaker yet in of all the Pharm Webinars! Thank you for this excellent information which I will apply tomorrow!